On Monday, September 4th, we will celebrate Labor Day in the United States. 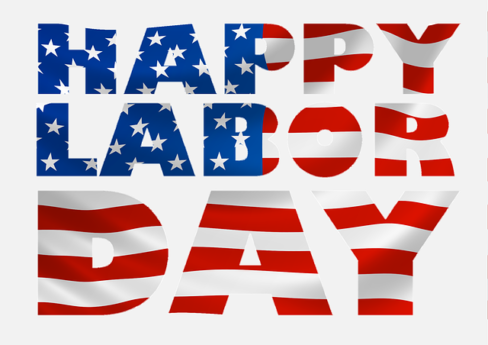 When most Americans think of Labor Day, they think of nothing more than a holiday that provides them with extra time off from work and big sales at local retailers and across the internet. While these things are nice, they sadly neglect the true meaning and purpose of this important holiday. The real purpose of Labor Day is to honor the American labor movement. It is a time to reflect on and celebrate the contributions and sacrifices of the working men and women of this country. The origins of this holiday go back to the labor union movement of the late 1800’s in New York. It is not widely known but the first parade associated with Labor Day was actually a protest march supporting the idea of an eight hour work day. In the following years and decades many more protests and fights by the union labor movement would result in a minimum wage standard , the 40 hour work week, child labor laws, workplace safety, pensions, and many other benefits for American laborers. These benefits would help to make possible what would become the great American middle class. Unfortunately many of the benefits mentioned above have been systematically under attack by corporations and anti-labor legislators for decades. In doing so they are attacking the great American middle class and all that goes with it. In closing, take time to enjoy this holiday with your family and friends but do not forget what was sacrificed to get it. Do not forget what it means. Most importantly, do not take for granted that the workplace rights and benefits that you enjoy today will be around tomorrow. They will only continue if we remain committed to the fight to keep them not only for ourselves but for future generations to come..